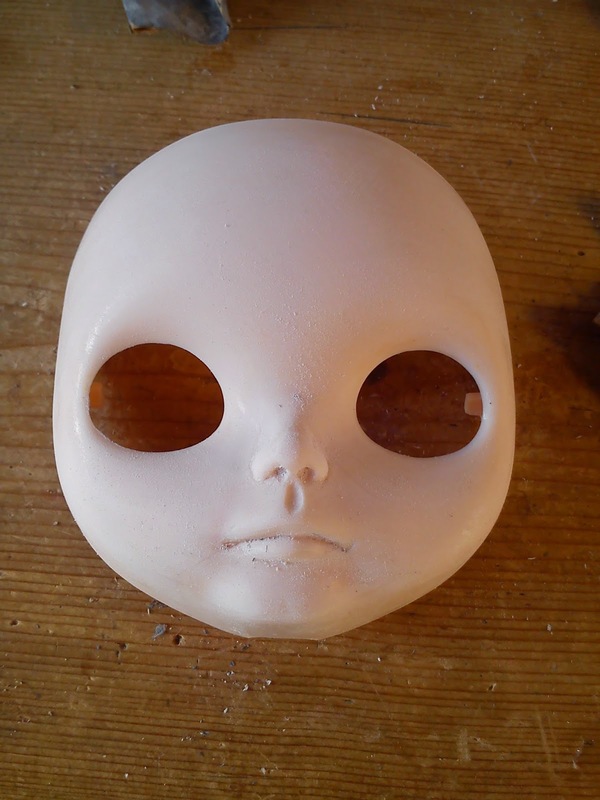 heads and changeable eye colours and I became intrigued. 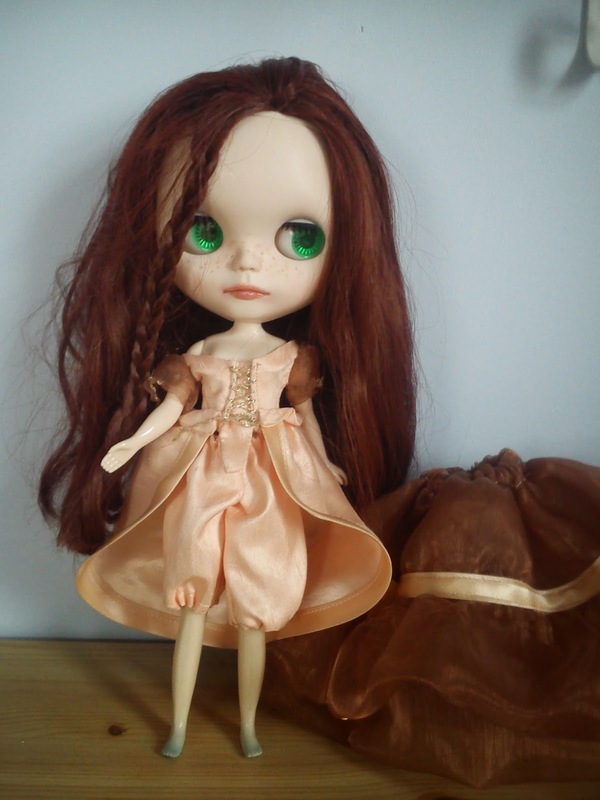 You may have noticed that all my dolls have heads bigger than they should be, I guess it just appeals to me. 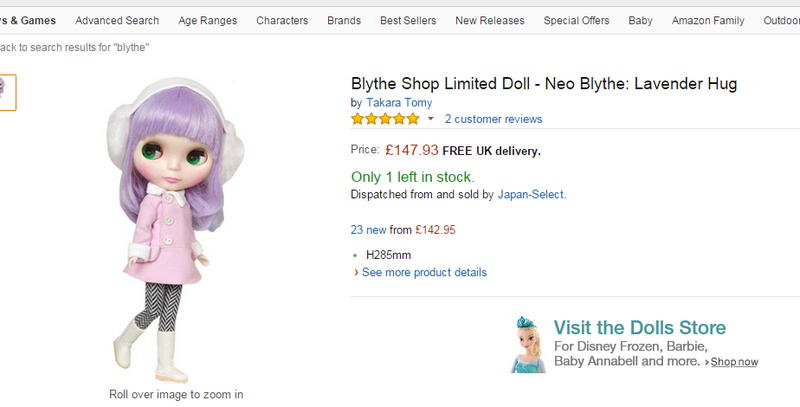 A Blythe straight from Amazon with a £1478.93 price tag, these dolls are not really for children. A brief and probably not all that accurate history of Blythes; originally made for 1 year only in 1972 by American company, Kenner, they had been rediscovered around 2000 with collectors taking photos of Blythes and production began again by Hasbro. 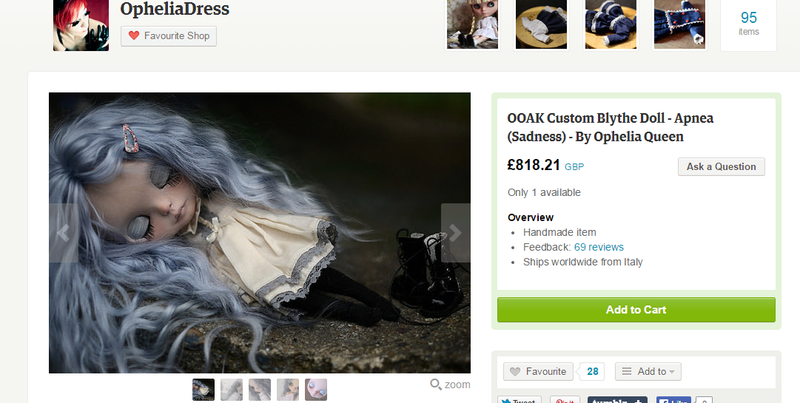 They are now a cult item and originals can fetch very high prices. 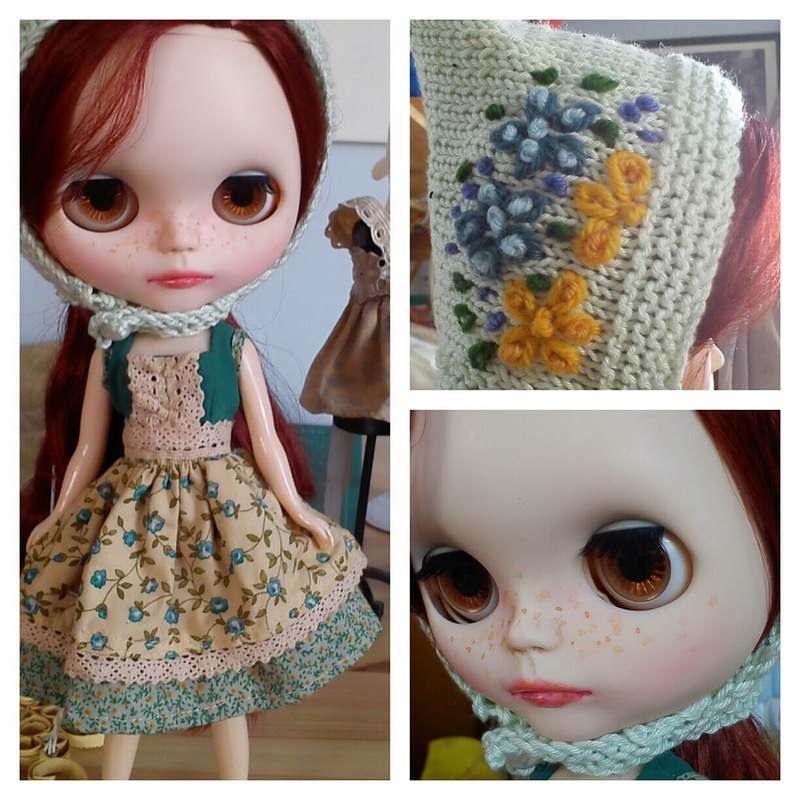 There are 3 sizes of doll, many books of the photos and a whole sub-culture of cutomised dolls. further and discovered a whole world of collectors obsessed with these dolls (and I fear that I may now be falling slowly into that category too) and some really clever artists who change the dolls faces making them unique, their hard plastic faces ideal for carving into different expressions. tried my hand and believe me it is harder than it looks, but I will try again. She was what is known as a factory Blythe, and arrived naked, made up of spare parts from the factory from what I understand. True collectors don’t think too much of these factory girls. shop until I see how they do. 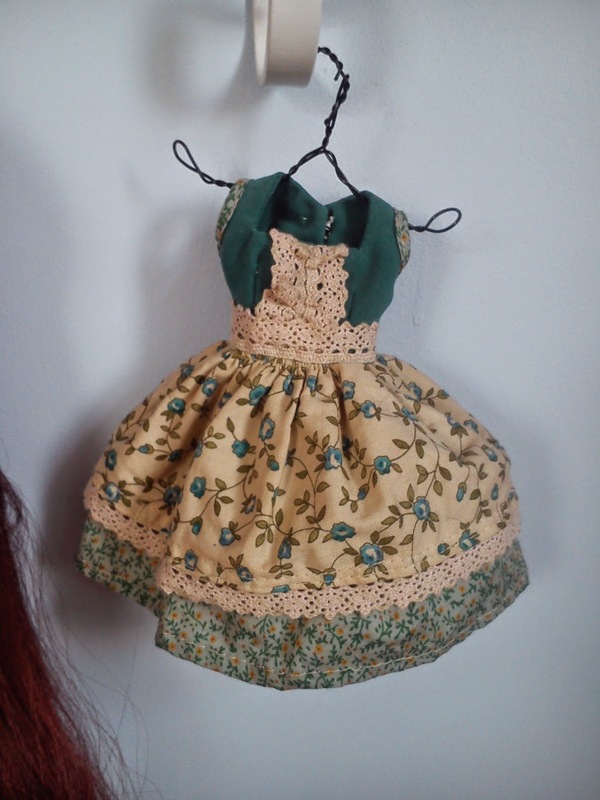 A beautiful customised Bylthe on Etsy by the very talented Ophelia Dress (link to shop) , defiantly not for children. With inspiration like this around, how can it not be fun. Let me know which toys you still play with?